Need a Love Necklace for Her? 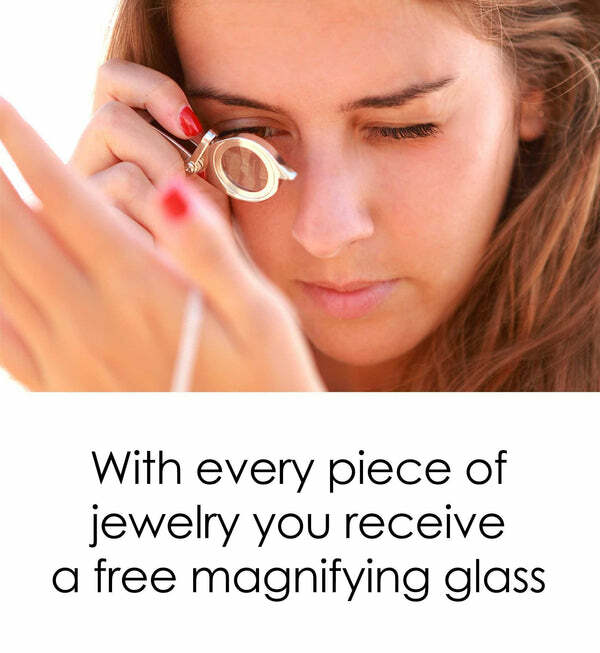 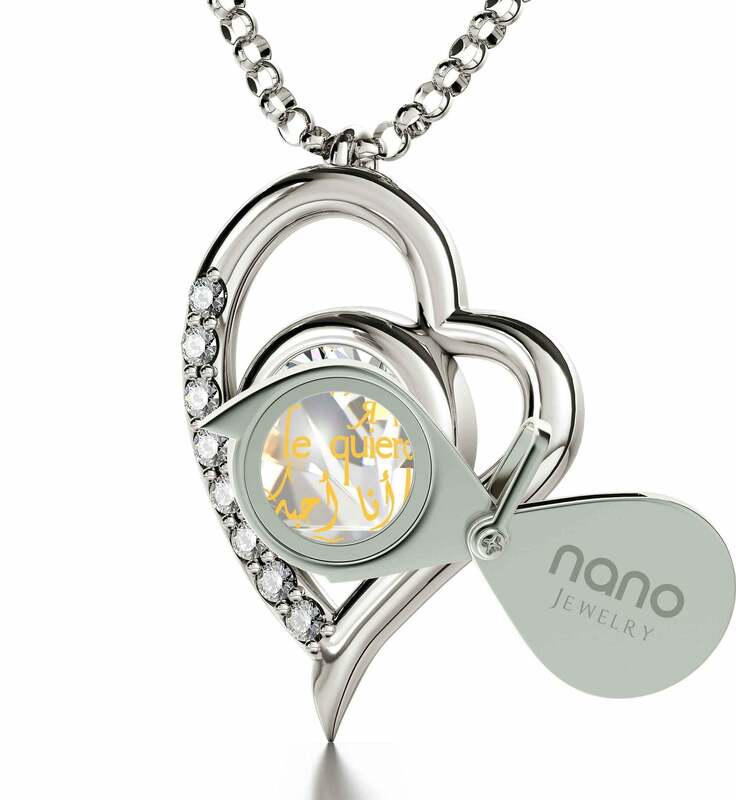 Discover the Right One at Nano Jewelry! 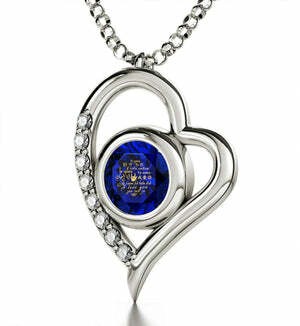 A loving wife is a wonderful thing to have. Whether you’re going through a rough patch or having the time of your lives, knowing that your partner is at your side brings comfort and joy. Letting her know just how special she is from time to time with a womens present that speaks both from your heart and to her sense of style is something you shouldn’t neglect. It doesn’t need to be for any special occasion, but it should definitely be a meaningful gift. When such gifts are concerned, a cute necklace for her is just what the doctor ordered. 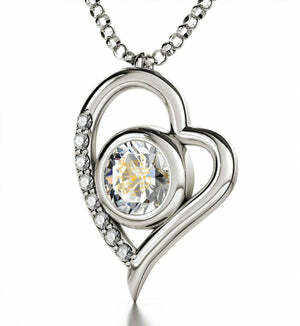 This exquisite piece of white gold jewelry blends elegance and emotion into one beautiful, heart-shaped form. 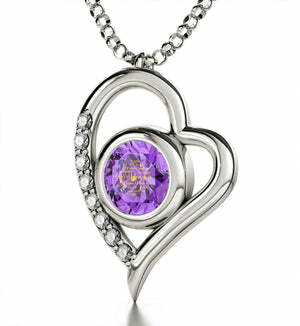 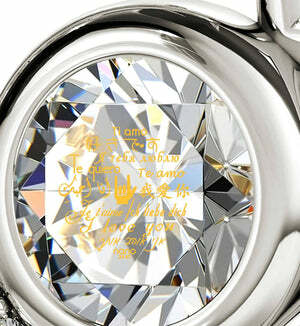 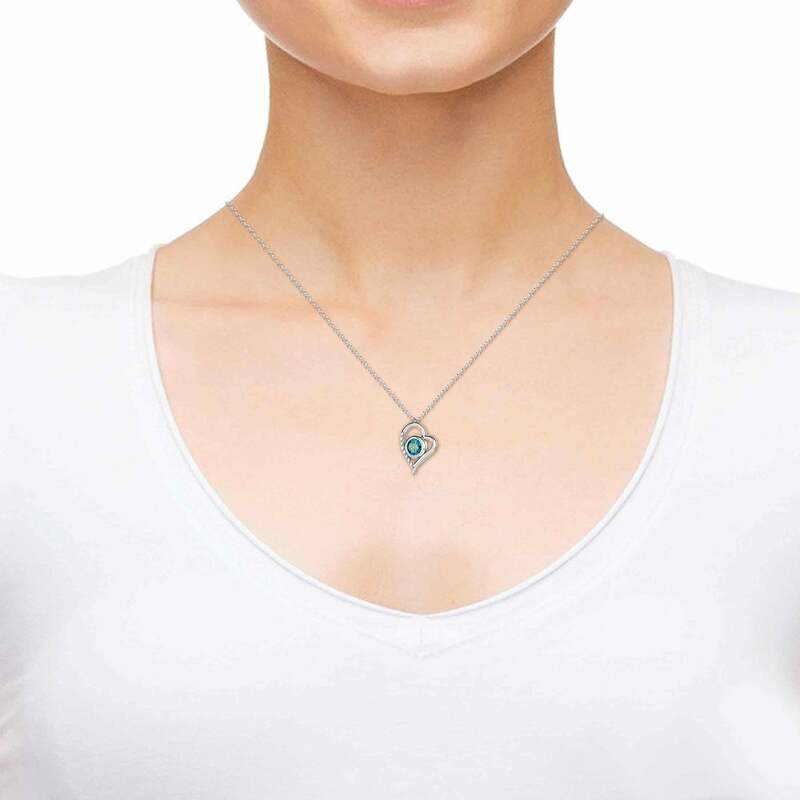 She’ll be thrilled when she lays her eyes on the string of eight diamonds that adorn its side, but what really makes this both a special and great gift for wife are the words “I Love You” imprinted into its glimmering Swarovski crystal centerpiece. 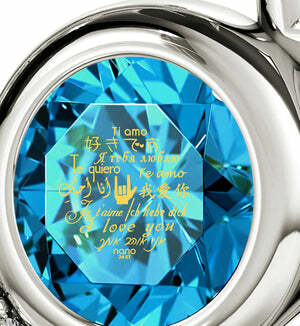 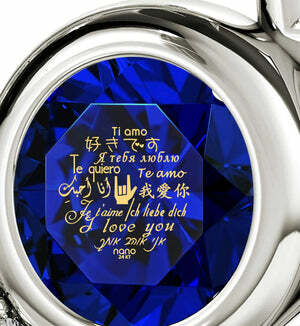 The imprint is made of pure 24 karat gold and features these words of affection in 12 different languages. The way in which this is done ensures that the inscription lasts forever and is available nowhere else, making this a gift as extraordinary as your wife.